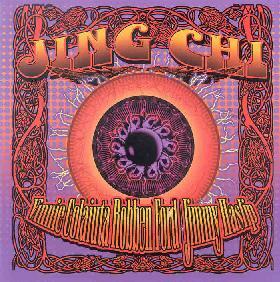 Jing Chi is a trio of Robben Ford on guitar, Jimmy Haslip on Bass and Vinnie Colaiuta on Drums. All are very talented musicians and have played with a wide range of musicians from Frank Zappa to John Scofield to George Harrison to Kiss to Bela Fleck. This project was described in the bio as crossing the classic trio of Cream with the adventurous sophistication of the Tony Williams Lifetime. I have a feeling this was written before anyone heard the CD. The opening riff of "The Hong Kong Incident" makes you think that perhaps this is going to be a hard rocking blues song but soon the music drops down to a more instrumental jazzy territory. "Man In The Ring" is a fun song with Brian Auger playing some great keyboard solos and Robben really rips it up at the end. "In My Dream" is almost new age like. "Tengoku" is a long 10 minute journey with a lot of experimenting by Robben in the guitar. Great playing by the musicians. Most of the songs are instrumental. Most of the music on this CD is too laid back for me and reminds me of a lot of the instrumental jazz rock guitar CDs around. Not breaking any new ground but these guys clearly enjoyed playing this music together and play very well.